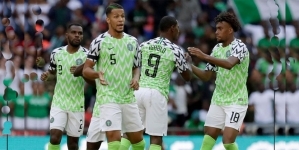 When the potentially explosive South Africa versus Nigeria Africa Cup of Nations qualifying match gets underway on Saturday, Ahmed Musa and Alex Iwobi of the Super Eagles will be marked men. According to SowetanLIVE of South Africa, the two players along with the trio of Oghenekaro Etebo, Leon Balogun and Samuel Chukwueze are men to watch in the Super Eagles. 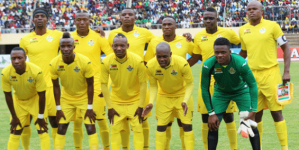 The publication reports that Bafana Bafana who are seeking for a in that would take them to the finals in Cameroon next year will be up against a Super Eagles side bent on revenge after a 2-0 loss last year. The publication described the Super Eagles as a team packed with players from Europe’s elite leagues. It then picked out five players who have the potential to be match winners for Nigeria at the weekend. Centre-back Balogun has barely played for his English Premier League side Brighton & Hove Albion this season but remains a rock at the back for Nigeria. Experienced and a good leader, he will be the one tasked with marshalling the Nigeria defence and it sets up an intriguing battle with his quasi-club mate Percy Tau. Tau is on the books of Brighton as well, but has been sent on loan to Belgian second-tier side Royal Union St Gilloise. They will have no doubt been training together at some point in pre-season though. Balogun was born in Berlin to a Nigerian father and a German mother, and previously played for a number of Bundesliga clubs, most notably Mainz. He made his Nigeria debut against Mexico in 2014 but later missed out on the World Cup that year through an injury he picked up in that game. He did feature in Russia this year and will provide an imposing wall for Bafana to get through. Perhaps tellingly, he was missing when Bafana beat Nigeria 2-0 in Uyo last year, a game in which they carved open the home defence almost at will. Iwobi has been a part of the rejuvenation of Arsenal this season under new coach Unai Emery, having been used sparingly in the World Cup in Russia. He will likely play behind the main striker, pulling the strings as a link between the midfield and the forward line. His intelligence on the ball will be a real worry for Bafana. One thing he would like to improve is his goal-scoring ratio and Bafana will hope he does not start on Saturday. His does tend to save his goals for the big matches, with three of his five international strikes coming in the last year against Argentina and England. The 22-year-old was born in Lagos but was an England international junior after moving to that country at the age of four. He is the nephew of former Super Eagles star Jay-Jay Okocha. He made his Arsenal debut in 2015 and has made 113 appearances in the three-and-a-bit seasons since, showing that he has played a significant role for The Gunners. 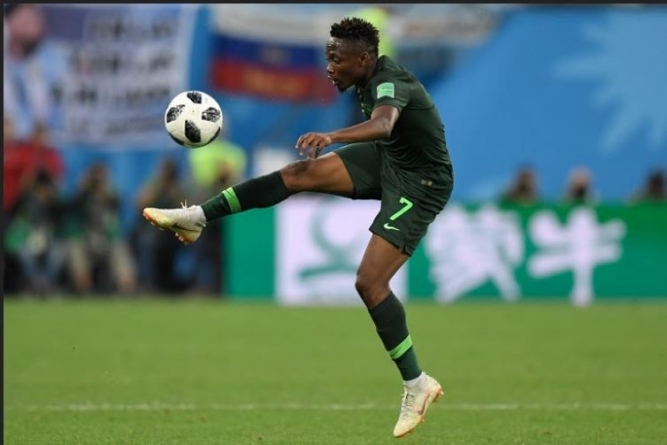 Musa is a player who has had limited success against Bafana before, and his great pace and rocket shot will be a weapon for Nigeria, as it was at the World Cup in Russia, where he was arguably the Super Eagles’ biggest attacking threat. He has carried on that form with goals against Seychelles and Libya in the Nations Cup qualifiers, and will be a massive handful for Bafana on Saturday. He is likely to feature on the left side of an attacking three, which will mean a tough afternoon for expected Bafana right-back Ramahlwe Mphahlele, who is prone to bombing forward and leaving space at the back. Musa is currently with Saudi Arabian side Al-Nassr but played most notably previously for CSKA Moscow, and later much less successfully with Leicester City. He has played Bafana on five previous occasions, managing just a single goal in a 1-1 draw in 2015. With Wilfred Ndidi ruled out through suspension, Etebo will be a key figure as a defensive midfielder to shield the back four from South Africa’s slick passing game. 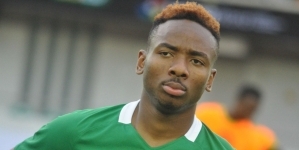 Although he made his debut five years ago in 2013, he has just 19 international caps, but has seen something of a rejuvenation of his Super Eagles career in 2018. He started every game at the World Cup and has played in all three Nations Cup qualifiers following a move to English Championship side Stoke City. 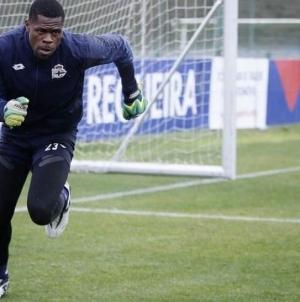 He began his career with Warri Wolves in his homeland before signing for Feirense in Portugal. He was sent on loan for the second half of last season to Las Palmas in Spain’s La Liga, and then made the commitment to sign for Stoke for £6.35m (around R120m). Chukwueze is an uncapped teenager but all the signs are there that he could play some role against Bafana Bafana after recently making his debut for La Liga side Villarreal. With lead striker Odion Ighalo out with injury, the 19-year-old could earn a shock start or come off the bench, as coach Gernot Rohr has spoken highly of him in recent weeks. Able to play as a winger or a forward, he would bring an element of the unknown, and with the likes of Kelechi Iheanacho, Henry Onyekuru and Isaac Success in mediocre form this season, it could be a masterstroke. And, what’s more, he would come into the side with form, having netted his second goal in three matches at the weekend in a 2-2 draw with Rayo Vallecano. SOUTH AFRICA VS NIGERIA: IS IT ANOTHER DATE WITH DESTINY?